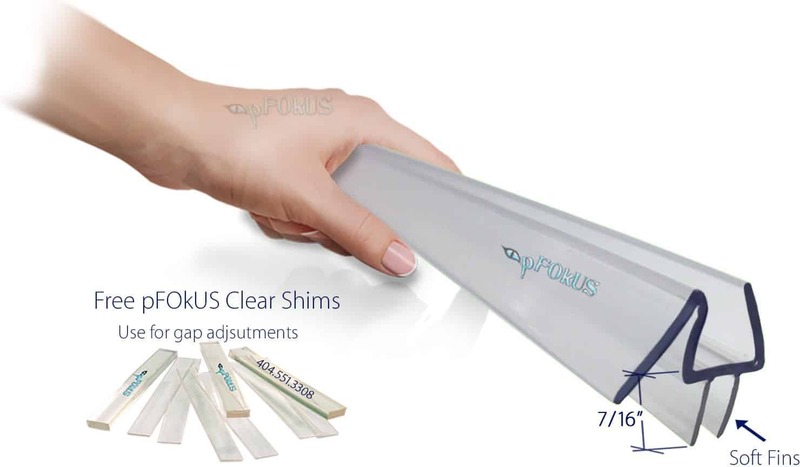 No matter what shower door sweeps you have – DS9372 frameless shower door sweep is best. Glass shower door sweeps are a major part of our maintenance list, as homeowners. Our DS9372 frameless shower door sweep comes in many sizes – 32”, 36” or 98” lengths. 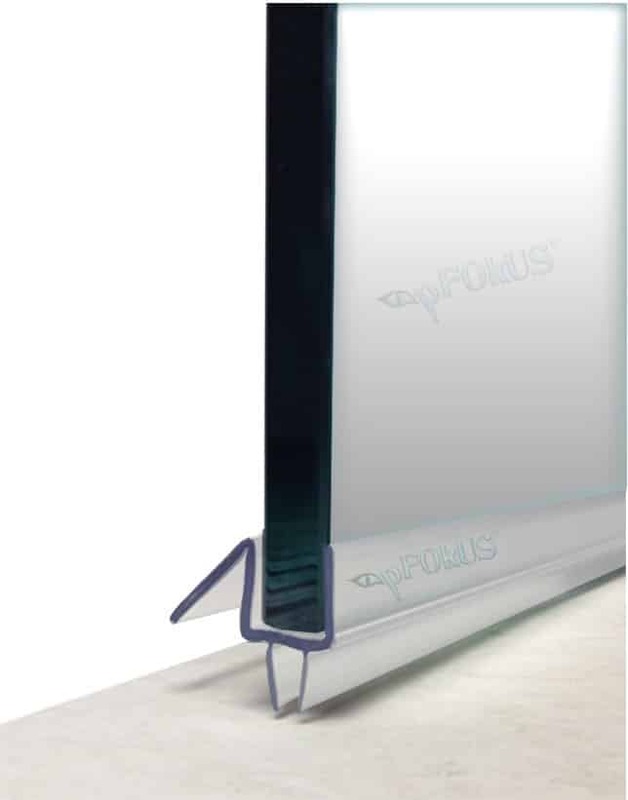 The key to our DS9372 frameless shower door sweep – deflect the water. It’s how your shower door interacts with our drip rail, that makes it spectacular. Imagine a shower door sweep that not only deflects the water – it also seals underneath the shower door. expensive. Polycarbonate has more of a natural look, easily wipes, and holds to the glass better. 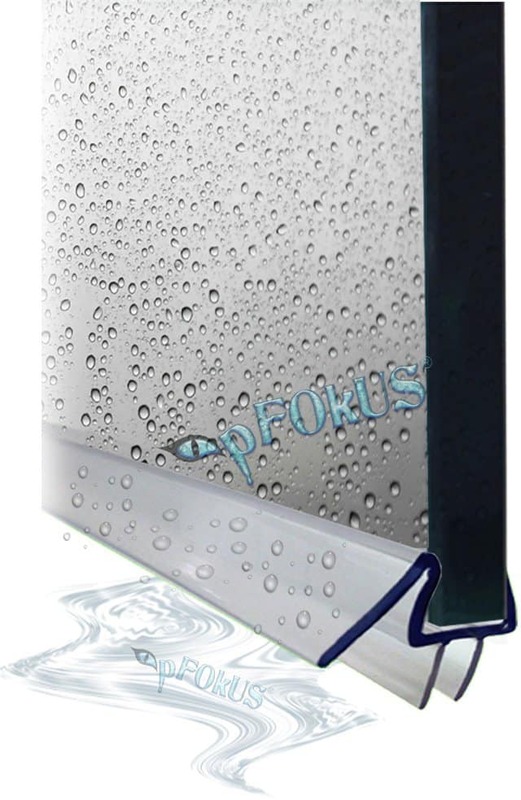 Many of pFOkUS’s innovations and formulas have focused on ease of use and simplicity. Now you can restore the appearance of your shower glass to reflect your new sweep. Imagine a shower glass door that does not have to be squeegeed. With Valore – a cleaner and sealer, simply apply Valore to you shower glass and wipe clean. 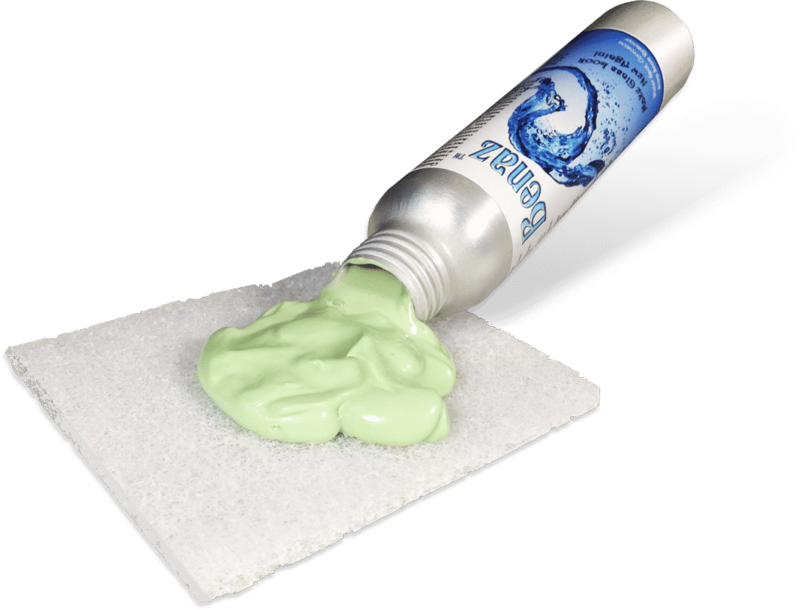 Valore’s molecular sealer will bond to the glass instantly and the shower water will sheet off. With new glass simply just apply Valore to the glass and with older glass, use Benaz to remove all the etching and water dots. How do I clean my shower door sweeps? 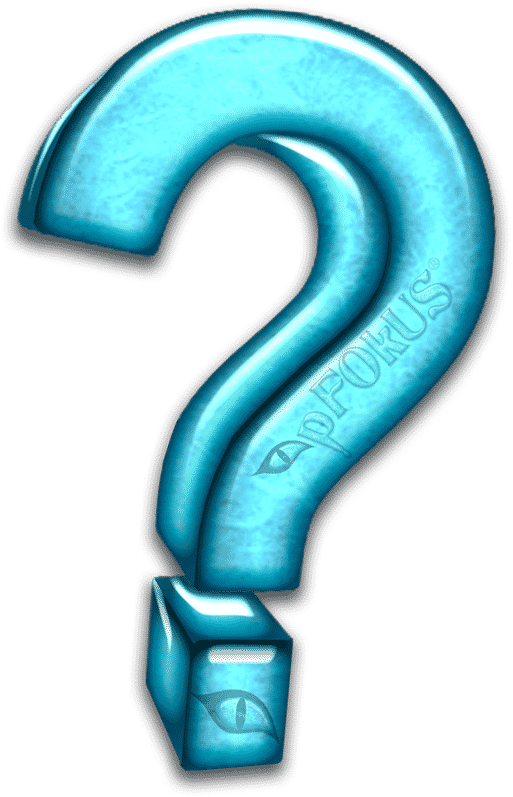 The fins on the sweep are too long, what shall I do? 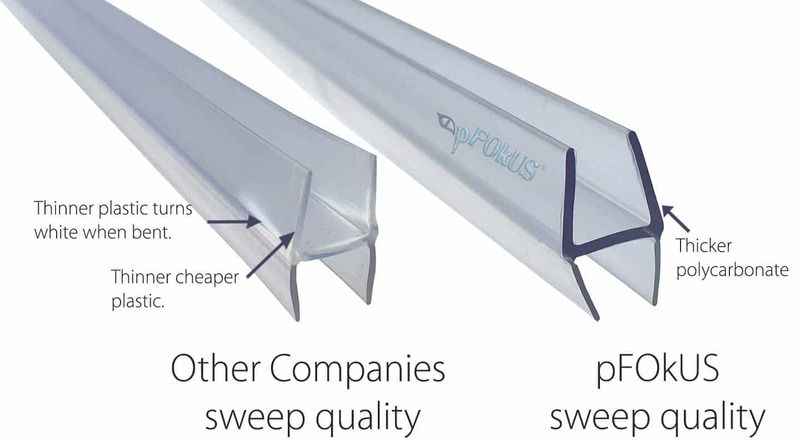 The soft fins on the bottom of the sweep can be trimmed with scissors. Remove all the calcium with Benaz.